For more than a couple of years, and because of the attacks in other parts of Europe, the terrorist threat level was raised to 4, short of a full scale level 5. Since then the Spanish security services have been uncovering dozens of jihad cells, mainly in the southern cities of Melilla and Ceuta as well as the autonomous region of Catalonia. The main reason for the latter was the concentration of the majority of Moroccan Muslims that have settled in the city of Barcelona. On the whole, the authorities have been very successful. Unfortunately everyone knew that an imminent threat was just around the corner, like a Damocles Sword, waiting to strike. How, where, when and of what magnitude was the ‘sixty four thousand dollar’ question. When the authorities arrived at the scene they found two humans, one dead and the other injured whilst another six of a nearby dwelling had also been injured. However, they also discovered dozens of butane gas cylinders. Sr. Alfons Montserrat, the Mayor of the town arrived at the scene and confirmed that the occupants were unknown, that the proper authorities would handle the case under normal procedures and would advise in due course. Clearing of the debris took place almost immediately and apart from concern for the injured routine life was back to normal. What happened later is world news. 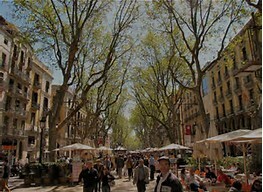 On Thursday the 17th, at around five p.m., a massive jihad terrorist attack took place in Barcelona’s main tourist pedestrian avenue known as ‘The Rambla’. The next attack was in Cambrils, some eighty kilometers south at one o’clock the following morning. The methods used were similar to those recently used in Europe, driving a truck or other vehicle at high speed mowing down pedestrians at will. The eventual toll was fifteen dead and over a hundred injured many in a critical stage. The regional police force, known as the ‘Mossos d’Esquadra’ in Catalan was quick to react. Five of the terrorists were shot as they tried to flee from a road block with further arrests at a later stage in Ripoll around nighty kilometers north of Barcelona. 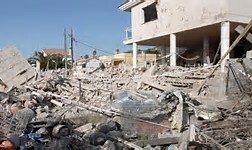 It did not take long to identify the victims of the explosion in Alcanar as part of the overall jihad cell that prepared the massive attack on Spain. The consequences could have been worse as this latter lot were preparing to blow up the Antoni Gaudi’s famous unfinished expiatory ‘Temple of the sacred family’ that dates back to over a century. However, it did not take long for the ‘breakup of ranks’ and the kick off the fireworks. The president of the Catalan government, Sr. Carles Puigdement as well as the mayor of Barcelona, Ms. Ada Colau addressed the initial press conference in the Catalan language, much to the dismay of the international translators and proceeded to announce that the horrible attack would not divert Catalonia’s objective of going ahead with the planned referendum for independence on the 1st of October. On the 2nd of February, 2015, after the attack in Paris of the satirical magazine ‘Charlie Hebdo’ Sr. Mariano Rajoy, the President and Sr. Pedro Sanchez, Secretary General of the Socialist party signed an anti-jihad pact. Not all political parties signed up. Now that Spain has been hit, the pact has had more relevance than ever and many of the previous opponents, especially the separate factions of the extreme left-wing have added their approval. But as observers! One party that not only failed to condemn the horrific event but accused the West and capitalism of all previous Islamic terrorism was the CUP (Candidate for the unity of Catalonia), an anti-system political party that happens to be a strong voice and part of the regional government’s independence pact. On the other hand, and as ‘I go to press’ the Marxist party of Podemos (Yes we can) has presented a law suit against the Catalan regional police for not using other methods to neutralize the terrorists instead of shooting at them. Enough said for the time being. Not much else has happened that is of real importance after what has occurred in Barcelona. The President, Sr. Rajoy has agreed to appear before the opening session of Parliament to, once again explain his role in the ongoing saga of his party’s possible corruption charges. Sr. Pedro Sanchez, the third time lucky Secretary of the Socialist Party (PSOE) has come up with the bright idea of renaming Spain as a ‘Nation of Nations’. Nobody really knows what he means.